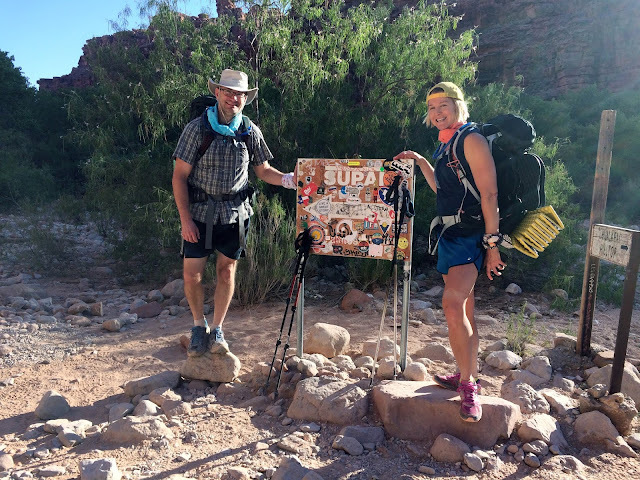 The 10 mile trail from the trailhead to the campground is steep, rocky, and sunny -- especially the first couple of miles. We saw a lot of people struggling (especially on the way back out). The trailhead is called Hualapai Hilltop. It is located at the end of Indian Road 18, 60 miles north of the Junction of Road 18 and Hyw 66. 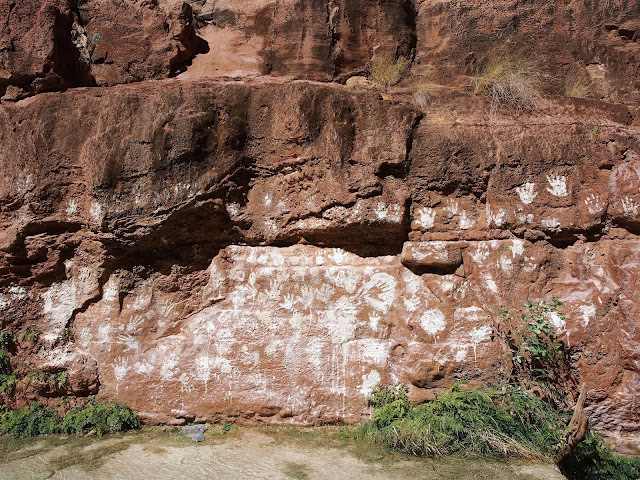 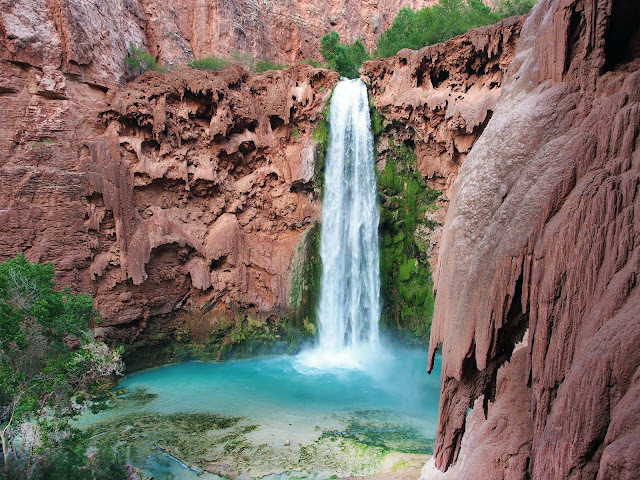 This is a remote area about 235 miles east of Las Vegas, or about 165 miles northwest of Flagstaff, AZ. 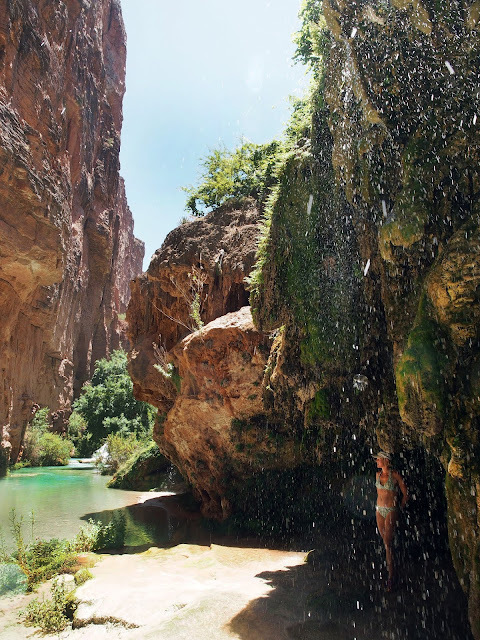 Once you get to the campground -- you'll forget all about the hike. 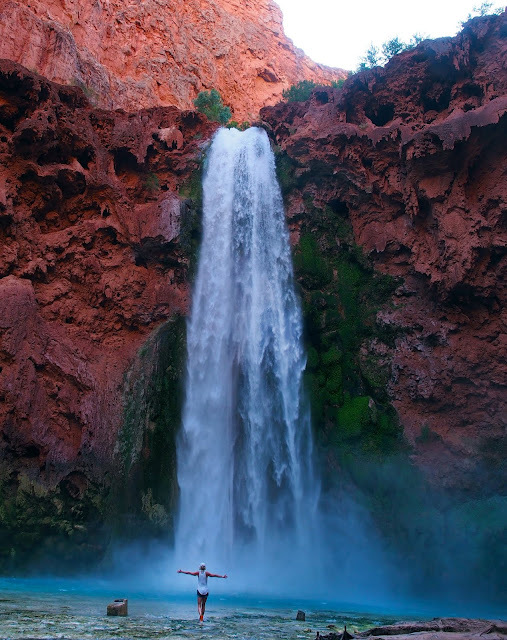 It's just beyond words -- so amazing. 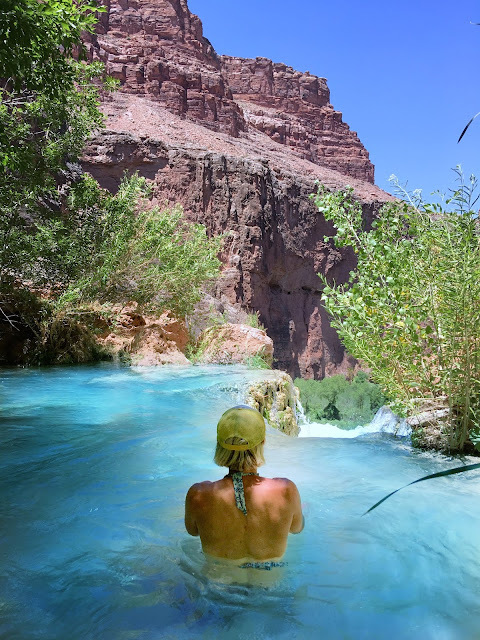 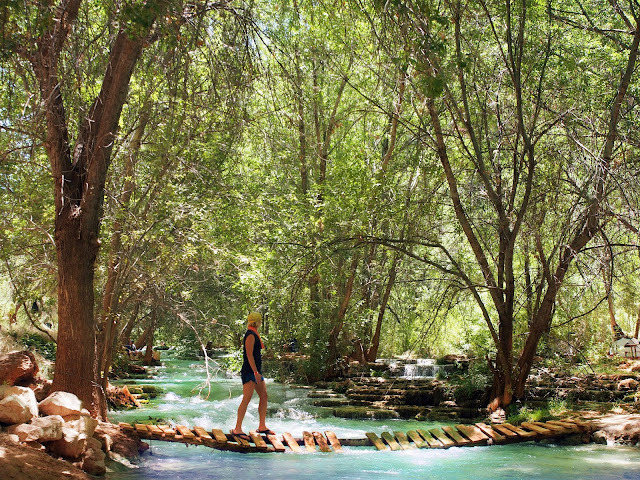 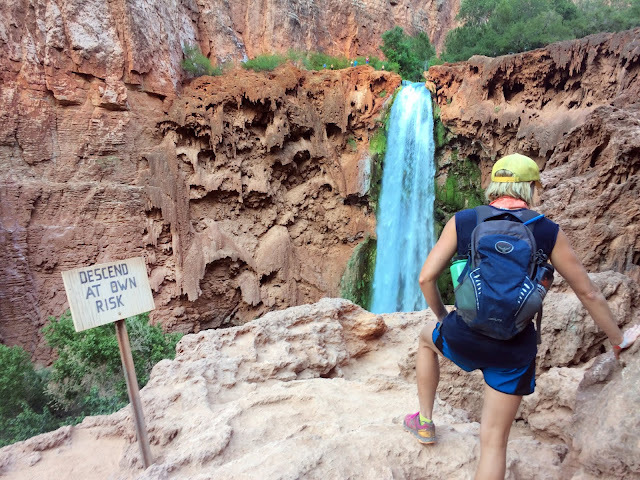 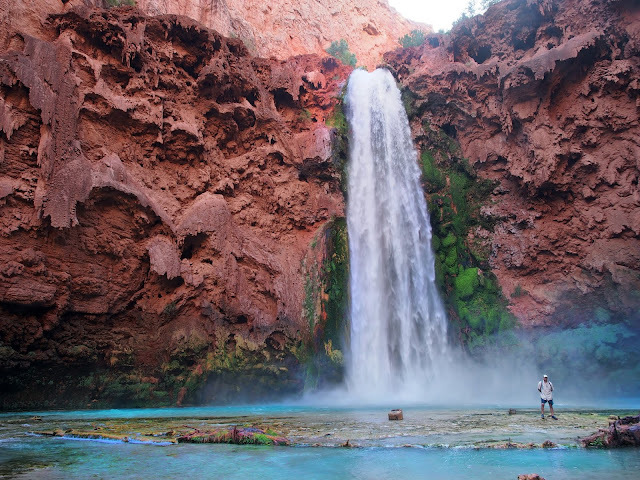 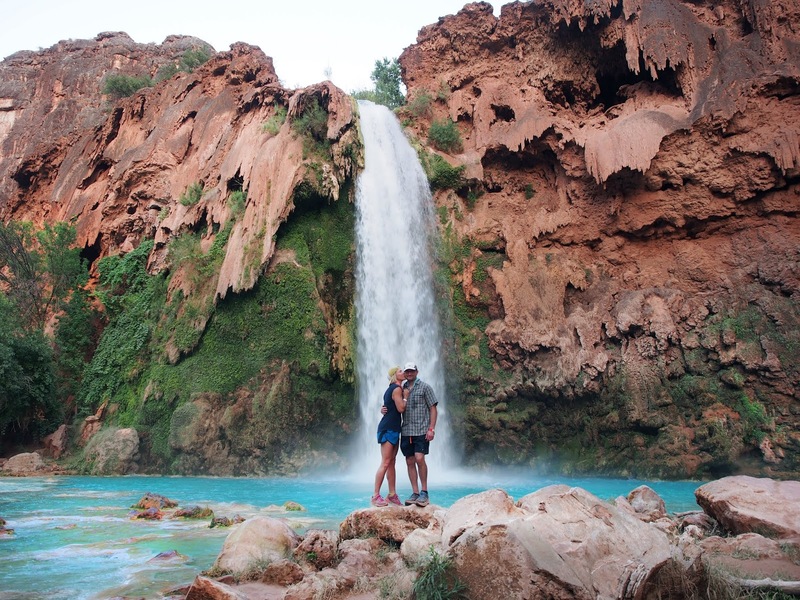 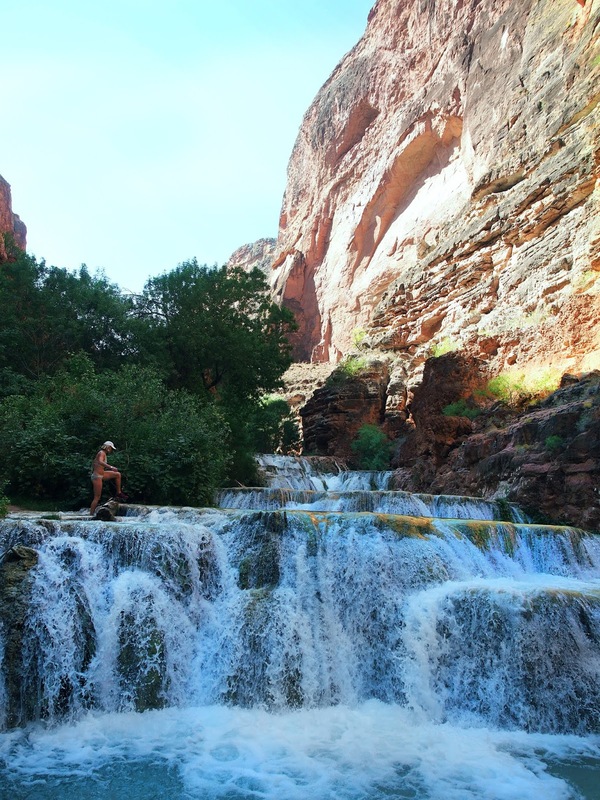 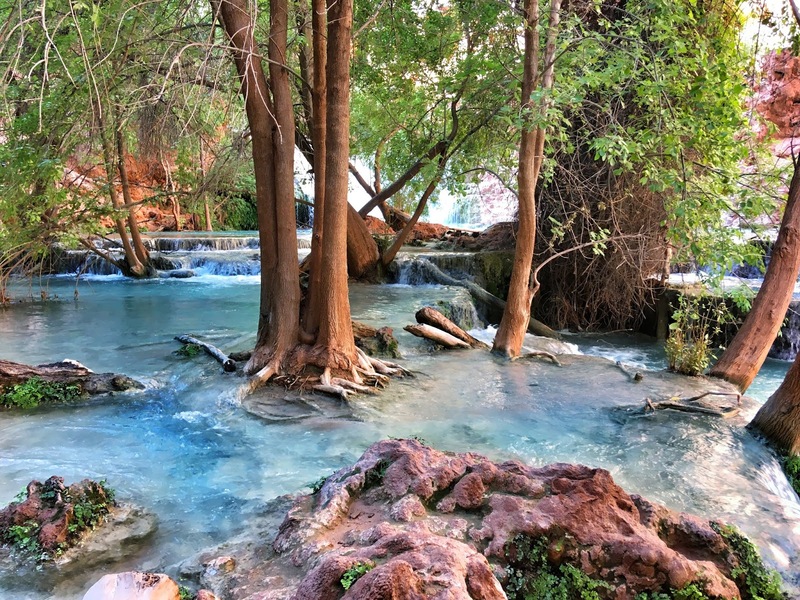 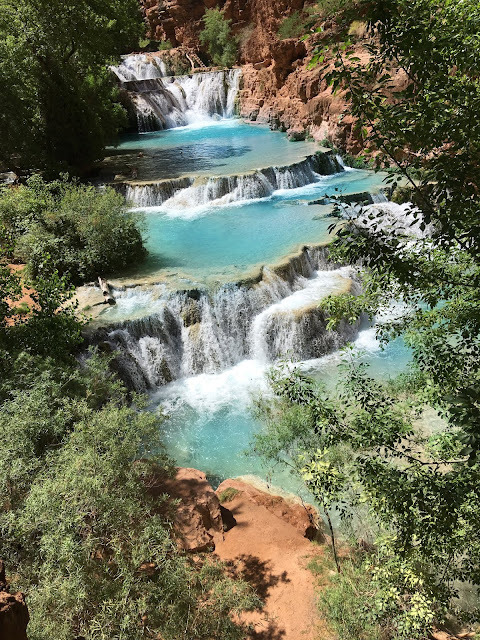 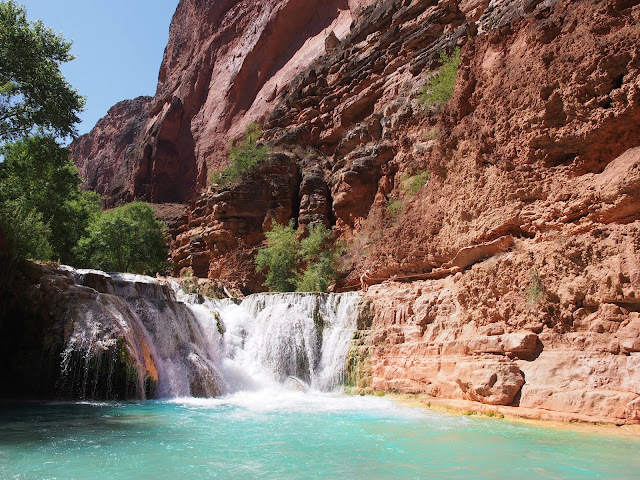 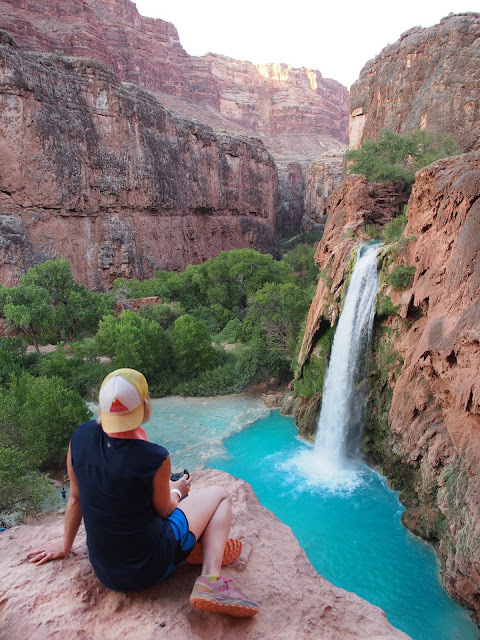 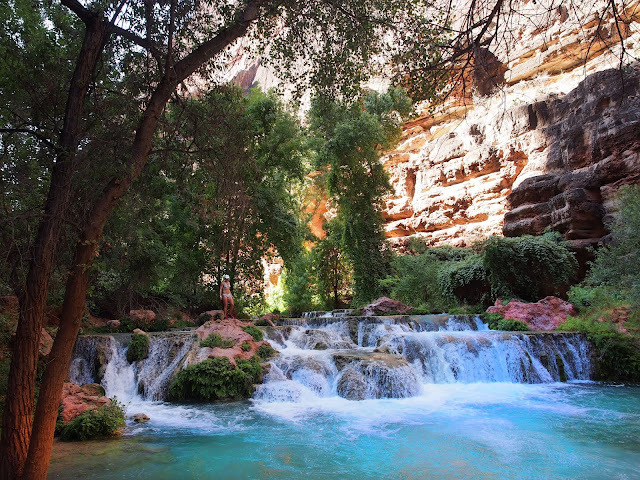 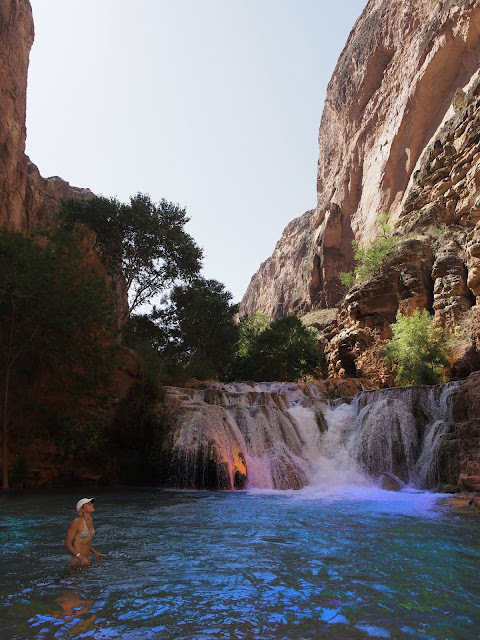 This beautiful place might be the prettiest spot on planet Earth -- grand canyon + waterfalls + sleeping in hammocks = BEST summer adventure EVER!